A 20 year old man stripped naked and broke into a lion cage in a Chilean zoo to feed himself to the big felines. 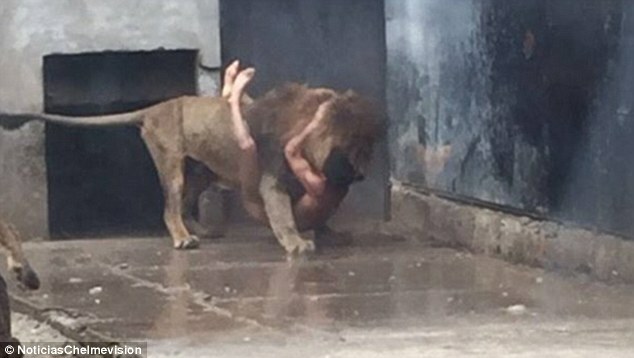 After entering the lion enclosure, the man identified as Franco Luis Ferrada Roman was mauled by two lions. Santiago authorities confirmed that they had to put down the two lions who viciously attacked the man. The man broke in the enclosure early Saturday, took off his clothes and jumped into the middle of the space. Visitors stood horrified witnessing the man’s crazy suicide attempt. Authorities later found a suicide note in his clothes. Once inside, the lions were said to immediately pounce on him and began to ‘play’ with their new toy. The zoo director said she was ‘deeply affected’ by the deaths of the two lions, a male and a female. ‘The zoo has an established protocol because people’s lives are very important to us,’ said Montalba. She added that there were no fast acting tranquilizers hence guns were used in order to save the man’s life. 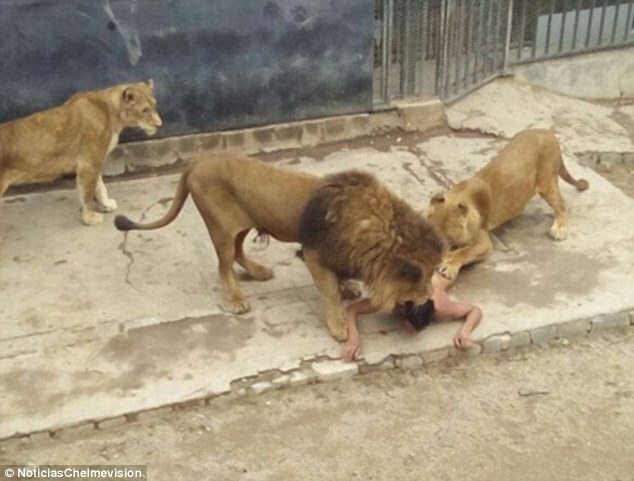 Netizens were outraged that two lions had to be put down because of the man’s crazy actions. The man was rushed to the hospital for medical treatment and was reported to be in grave condition.